One would think that an organization which exists to protect consumers like the ECA wouldn't try to scam its members, but that's exactly what a vocal minority is claiming. 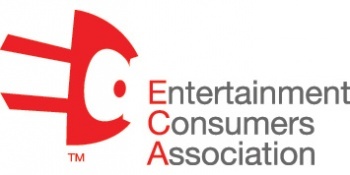 A post at The Consumerist said that the Entertainment Consumers Association has made it nearly impossible to cancel membership with the organization. The accusation was that the ECA website no longer offered the ability to turn off automatically renewing a membership and that this was done in response to members being frustrated with the lack of Amazon discounts which were promised to new members. Also, the ECA has removed from the website the phone number previously used to cancel membership. The only way to currently opt out of the organization is to write a letter to ECA and wait 30 days. ECA president, Hal Halpin, responded with a statement today which did not openly deny the accusations but provided some compelling reasons for the actions of the advocacy group. The ECA offered a promotion for a free trial membership linked to an article Halpin wrote this September which promised, among other discounts, a 10% discount at Amazon for all videogames. Many new members flocked to the site but were disappointed to find out that the Amazon discount was discontinued. One member wondered if the recent inability to end memberships was added in response to a rash of cancellations of unhappy members. According to Hal Halpin, it was some of these new members which spoiled the Amazon discount. "These new members were coming from websites and forums that were solely promoting the coupon code, sans important reading," he said. "Within a relatively short period of time, some of the new members found an exploit in one of our partners' promotional codes and spread the word." The partner, which may or may not have been Amazon, decided to terminate the offer. He admitted that auto-renewing membership is a part of their business model and was unlikely to change. Halpin added that the need to cancel by mail was "due to a small but active number of members who were repeatedly joining, leaving and re-joining the organization - in an effort to exploit our member benefits and unduly take advantage of our partners' generous offers." The ECA had to deal with these exploiters contacting the Better Business Bureau claiming that they were the victims of fraud, which was "in effect committing fraud themselves." The ECA states that its mission is to empower consumers of interactive entertainment to effect change and that it "opposes legislative efforts to unconstitutionally restrict access to video games." The ECA is the publisher of GamePolitics.com, a respected voice in the game community. Even though the ECA may have had good reasons for restricting consumer's control over their membership, the policy doesn't seem to be in line with the organization's philosophy.